Rinjani Climber is the Mount Rinjani Trekking organizer based in Senaru Village, We have started climb and organizing trekker to Mt. Rinjani since 2011. For us, Mt. Rinjani is a garden behind our house. For that we can help many trekkers to climb Mt. 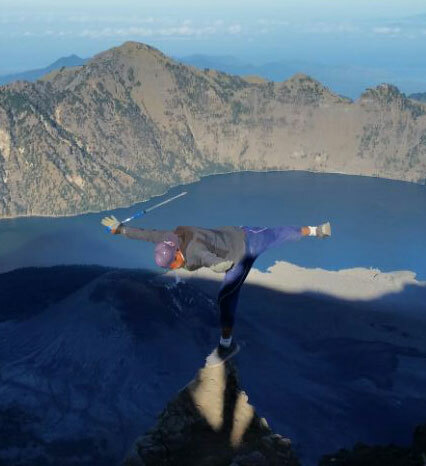 Rinjani and enjoy one of the most amazing natural beauty on the island of Lombok and in the world. Our experienced team, guide, porters, will always taking care, You don't have to care about anything and we'll try our best to make your adventure as much comfortable as we can, so that you would have a happy and enjoyable your times. we are looking forward to organize a trip for you true to the maxim the journey is the reward.